OPEN HOUSE SAT, MAR 16 2:30pm-5:00pm. BRAND NEW HOUSE on AMAZING 6 acre lot just 20 min to Cochrane, 40 min to Calgary city limits, & under 1 hour to downtown Calgary. Set beautifully among the tall timbers, you have complete privacy & the feel of being in the forest. Walk 100 yards & the property opens up to a pasture fenced & zoned R-2 for horses. The property even grabs a corner of Dog Pound Creek – WOW. The house is set up for pretty much any type of family with 6 bedrooms including a self-contained one bedroom suite on the main level with exterior access, 4 full baths including master ensuite, wood-burning 3-stage fireplace, quartz counters, custom cabinets, vaulted living room, 9’ ceilings on both levels, walk-out basement, insulated basement sub-floor, & more. The finishing details in the home are of high quality, the floor plan is both functional and great for entertaining, & the upgrades are impressive. This is an INCREDIBLE OPPORTUNITY to purchase a brand new house on a SENSATIONAL LOT. Home for sale at 50150 Township Road 283 Rural Rocky View County, Alberts T0L 0W0. 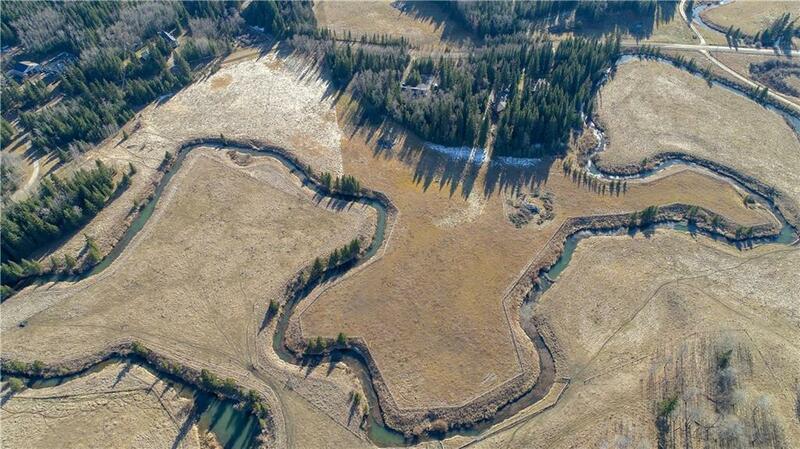 Description: The home at 50150 Township Road 283 Rural Rocky View County, Alberta T0L 0W0 with the MLS® Number C4217648 is currently listed at $935,000.